Background: Misuse of synthetic antibiotics in livestock leads to the transfer of antibiotic resistant pathogens into humans and deposits toxic residues in meat and milk. There is therefore an urgent need for safe and viable alternative approaches to improve the nutrition and wellbeing of farm animals. An alternative source that has been widely exploited is Traditional Chinese Herbal Medicine (TCHM). These herbs contain several but less toxic bioactive compounds which are generally regarded as biodegradable. Recently, advances in the knowledge of the importance of TCHM have led to a rapid increase in its production and hence, increasing the amount of by-products generated. Such by-products have become a serious environmental challenge because producers regard them as industrial waste and discard them directly. 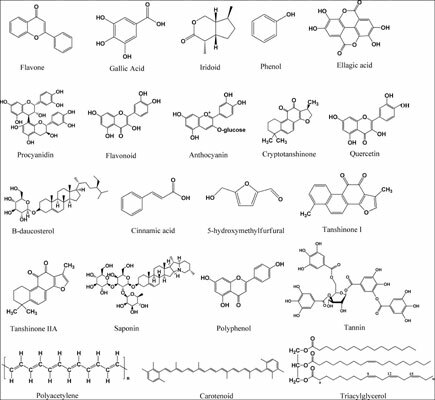 This review summarizes scientific findings on the bioactive compounds in TCHM and TCHM by-products, discusses functional dietary patterns and outlines challenges that may hinder full utilization of TCHM by-products in animal production. Methods: Information for this review was obtained through scientific databases and websites such as Pubmed and Google scholar from 2004 to 2017 using experimental studies on bioactive compounds in TCHM and their effects in animal production. Results: Studies have shown that TCHM by-products contain high amounts of bioactive compounds which confer several nutritional and health benefits to animals and thus could be incorporated as feed additives. Conclusion: The findings for this review indicate that TCHM by-products apart from being a good alternative for synthetic antibiotics could also minimize the current environmental challenges associated with its disposal. Animal production, antibiotics, antioxidants, bioactive compounds, environmental pollution, traditional Chinese herbal medicine.